Peter Ritchie returns with the latest detective Grace Macallan thriller, Where No Shadows Fall. Detective Macallan’s life has taken on a steady pace; a career away from the front line has resulted in an easy 9-to-5 desk job. However, when she’s asked to review the suicide of Tommy McMartin, the once heir of Scotland’s most powerful criminal family, Macallan is set on a trail that threatens to expose more than the lies the departed took to their graves. For fans of Jo Nesbø, Ian Rankin and Peter Robinson. So in preparation for my blog of this book I read Cause of Death the first in the Grace Macallan thrillers before I started this one. I wanted to understand her back story; what makes her tick and what brought her to Edinburgh. It seems that a lot of water has gone under the bridge since that book. The old characters are there however i.e. the retired Harkins is still around always good to have continuity. If you haven’t read the others I would also recommend them. Ritchie writes a ‘stonking’ crime procedural! 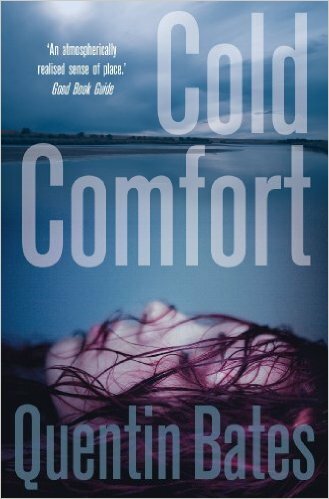 In fact one of the best writers I’ve read in the last five years of reading crime – my passion so I can claim to be critical and know my business. Grace misses the adrenalin of being in the front-line; even the long hours and the unknowns – but then that’s part of the fun of being in that line of work and for us reading page-turners like When No Shadows Fall. Tommy McMartin is dead and has been a long time but we know the story in the first part of the book – almost like a prologue then there’s a seven year gap! Two crime gangs are battling for supremacy – one’s on the down and the other is on the up and when the rivalries reach a head we are into some exciting reading. The upshot is that Grace is asked to investigate Tommy’s involvement in a murder and his subsequent death in prison and why they were never solved properly – was he setup – was someone in the inside of the investigation covering-up? I am being rhetorical because you’ll have to read this excellent crime story for yourselves to find out. As you know I do TEASERS but not SPOILERS! Conclusion ‘5 stars’ for Peter Ritchie – in summary this is better than the first and he is developing his oeuvre. Keep up the great work sir. Back to my reading and happy staying up nights to finish this one and catch-up on the backstory. I love the setting Edinburgh the castle the history and the atmosphere. I’d recently read, and written a few words about, 1. Western Approaches and 2. Touching Distance the first two Jimmy Suttle books, as an alternative to reading the DI Joe novels by Graham Hurley. It seemed natural after I read DI Joe #5 to swap back and find out what was happening with Jimmy and Lizzie; after two books I have really started to care about them and towards the end of this one I had tears in my eyes. I stress I don’t counsel this approach to these books although you can read them as stand-alone novels because the back-story is explained enough I would always read in order. I might have also mentioned that my erstwhile colleague, crime fiction expert, a narrator, and Q&A lead at various book launches and Nordicana events, where I met him, Barry Forshaw had touched only lightly on the work of Graham Hurley in his Brit Noir encyclopedia. I was quite disappointed that he’d only included a reference to two of the Suttle series and no DI Joe, but I guess it’s difficult to get in everything about every author. I was also alarmed by this entry when I read an apparent spoiler about book 3 Sins of the Father that I would rather not have known, but in the event now reading this one I understand it not to be a spoiler as the devastation that Jimmy and his wife Lizzie have experienced isn’t one of the actual whodunnit threads in this great novel that actually happens in between books 2 and 3 and we know the outcome early in the book. As I think I mentioned in my previous blog on Graham’s first four books about DI Joe, I got spoilers in Western Approaches about the fate of DI Joe and Paul Winter that I’d rather not have known but I am still enjoying that series of books set in Portsmouth. There are in fact other spoilers in this one but I won’t elaborate. Touching Distance deals with the killing of several apparently unconnected people by what can only have been done by a sniper. (see my Graham Hurley catch-up blog for more on these two books. Before I move on to the actual review of this book, I would hasten to add that there is a stark and sometimes cruel side to the story lines in these books. The good guys don’t get off easily in life and I do believe that the author has an almost cruel mindset when he plunges our heroes and heroines into horrible and sometimes, in contrast, some pleasurable situations in their private lives that add to the sense of tension and it serves to enhance the thrilling nature of these books. As I write am I’ve literally finished the book but it explains that their 4-year-old daughter Grace is no longer alive, having disappeared at the Southsea kite festival the previous August. The book, in parallel, also deals with the savage murder of a local rich old man with a military history in Africa. The dead-man is rolling in money but confined to his home after a stroke. Two of his adult children, Neil and Hilary, live with him and they are the obvious first suspects, but their alibis for the evening of the murder are apparently very strong. So Jimmy and Luke Golding his partner on the case along with Det. Supt. Nandy as SIO and DI Houghton are engaging lots of CID resources in tracking down a mysterious African who was visiting the dead-man but was gone after the murder was committed. Lizzie meanwhile has failed to write the novel about the events and her close experiences in the last book, primarily as a result of the loss of her daughter. Whilst we saw that she and Jimmy were patching things up at the end of Touching Distance, the loss of Grace has damaged them and their relationship. Chantry Cottage is now history, Jimmy has moved into a flat in his area and Lizzie is back in Portsmouth with her mother. There are more flashbacks to the DI Joe series in this book, because of what Lizzie is doing with her new project, where she encounters one of Bazza’s acquaintances and business associates. The way Graham Hurley writes is great for me. The narrative flows, the exchange from one thread to another doesn’t always wait for a new chapter to start. Each new chapter is marked by a date and sometimes the hour giving the passage of time. I don’t want to put these books down and regularly I’ve been reading the same paragraph over and over and realize I should stop and go to sleep. As I said earlier, in this one we do get a lot of, sometimes, previously unwritten back-story about Jimmy and Lizzie when they’re examining or explaining to someone else the situation and aftermath surrounding the loss of Grace. Even Jimmy’s learned passion for opera gained in an earlier story causes someone from his past to haunt him momentarily. I just love the continuity of these stories, the individual baggage the characters have and if you are reading them in order I would strongly recommend you do, in fact, I think you should read all the DI Joe ones first! 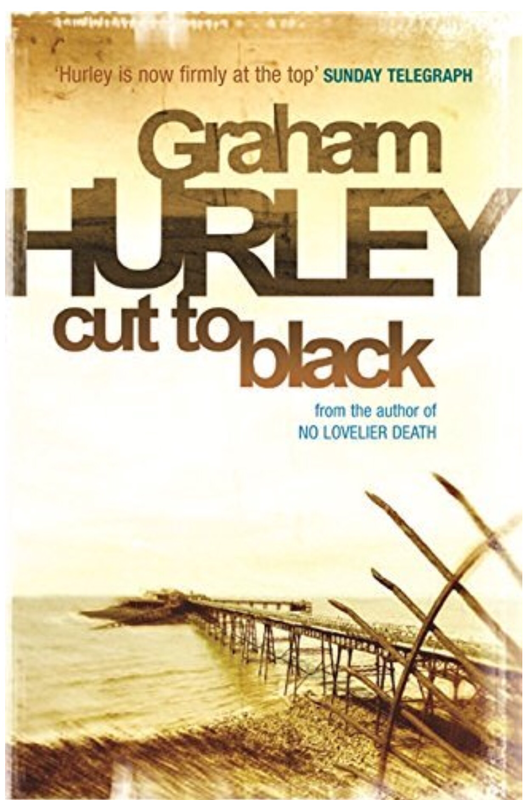 This is another wonderful novel from Mr. Hurley. 5 stars once again. I have to wait for no 4. to be published so watch this space. I need to know what happens to Jimmy and Lizzie, Luke Golding and all the other characters big and small! It isn’t about the crimes, is it? It’s about the people. I was the same with the Wallander (Mankell) and Harry Hole (Jo Nesbo) novels – for me, they become part of my life for the time I am reading. The Order of Things is now available for pre-order and due for release in November. I can’t wait. I have my email confirmation from Amazon. In the meantime, I will be starting Blood and Honey by, guess who, Graham Hurley in the next installment of the Faraday and Winter series, when I lift my fingers off the keyboard. I am sure I will get more on the Jimmy back-story too! Until next time…….. happy reading! As a complete aside as I finish this blog I’ve just learned that Blackout by Ragnar Jonasson should arrive next week. I am continually honoured in the presence of genius in the group of Nordic noir lovers of which I am part. This genius sources in Sweden, Finland, Iceland, Norway even Derbyshire, and, in this case, Hampshire. 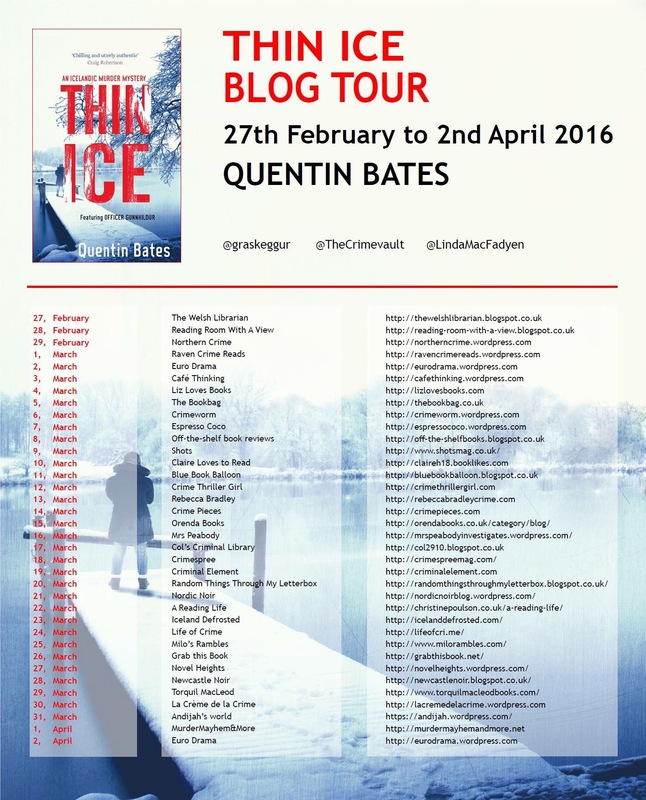 The latest tale from this stable is the excellent Thin Ice from Quentin Bates. 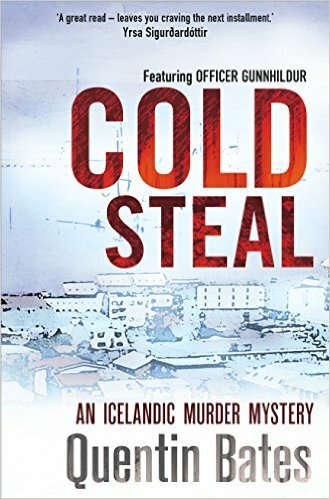 A local, homegrown talent who continues to excel with his police procedurals about Gunnhildur an officer in the Reykjavik CID. However, this isn’t a traditional Whodunit as we start with the bad guys and follow their escape when they car-jack a mother and daughter when their getaway driver fails to be at the rendezvous. In parallel with this Gunnhildur battles with the trials of her private life. Her son has now settled with one of his girlfriends and rekindles his relationship with his now-dying father much to her dismay. Along with this, she is troubled by her two grandchildren sired by her son. The getaway driver is then found dead in a fire. Is this accidental? The pace switches between the criminals, as a long-standing, habitual, criminal and a monster of a man and his side-kick, who doesn’t have a sheet, whilst the main bad-guy has a sheet as long as his and his sidekick’s arm. The former continually waves a gun at his captives and is unafraid to use it. 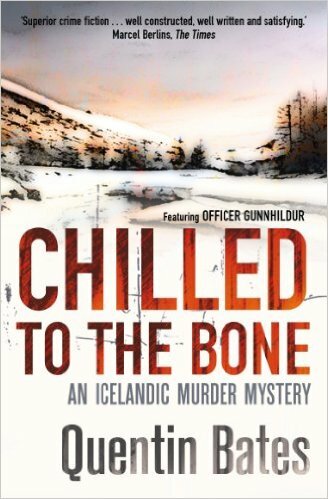 The alternate thread is following Gunnhildur and her colleagues trying to track down the missing women. The atmosphere and emotion are diverted by one of the captives, as the daughter of the pair becomes involved with the not so bad sidekick – in this context you could call it ‘Rekjavik Syndrome.’ This adds to the suspense in the story as it leads to an unexpected outcome as a surprise as she – the daughter turns out to be as conniving and deceitful as the criminals themselves. I’d made a concerted effort to read all the prior novels before starting Thin Ice, as I love reading in sequence, having read Frozen Out when this blog tour was announced and was invited to contribute. 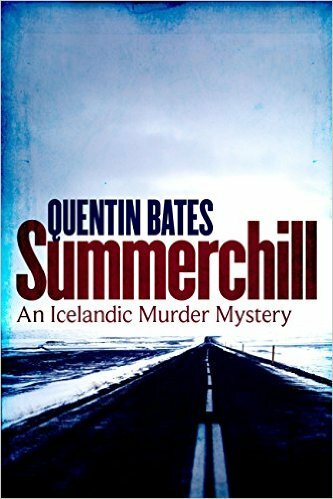 As a result, of this, I had missed out on some story line and even questioned the writer about continuity who pointed me to the two novella, WinderLude and Summerchill which I read in parallel – these filled in some blanks on Gunnhildur’s family story. 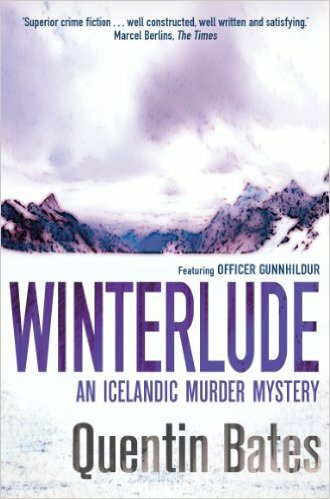 I really enjoyed reading all of these novels and I do wonder with excitement what is next for Gunnhildur. Will she get that promotion? Will her family life settle down? 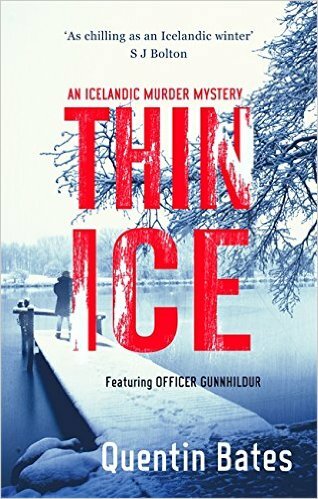 Watch out for the next in the saga, but in the meantime Thin Ice stands alone as a great crime story, filled with the atmosphere and coldness that is Iceland-Noir. I highly recommend it and please follow the rest of the blog tour both backward and forwards.